1. It’s easy to use. When we speak with captains, deckhands, and engineers they often tell us that MobileOps is the easiest software they’ve used to date (and many of them have used a combination of other solutions that exist in the marketplace). 2. MobileOps works on smartphones. The future of computing continues to trend towards mobile. Because MobileOps is designed to run on smartphones, it allows employees to get work done anywhere and not have to rely on a vessel’s PC. That’s not to say PC’s are irrelevant—MobileOps runs on any device and the interface will adapt to the dimensions of the display. Being mobile-ready gives our customers options. 3. Proving regulatory compliance. MobileOps can easily provide objective evidence to auditors and surveyors. Many of our customers have used MobileOps for Subchapter M inspections and both the USCG and third-party auditors have been amazed at how easily MobileOps can provide the objective evidence that they need. For instance, it only takes a couple of clicks to see if an employee is up to date on their safety training, or if a vessel has any outstanding deficiencies. 4. Great Support. We aim to build relationships with our customers with an eye towards long-term success. We also listen to our customer’s feature suggestions with great enthusiasm. Some of MobileOps’ best features have come from the result of ongoing collaboration with current and prospective customers alike. 5. Cost Effective. MobileOps works for companies of all sizes. We’re unique in that we don’t charge implementation fees. 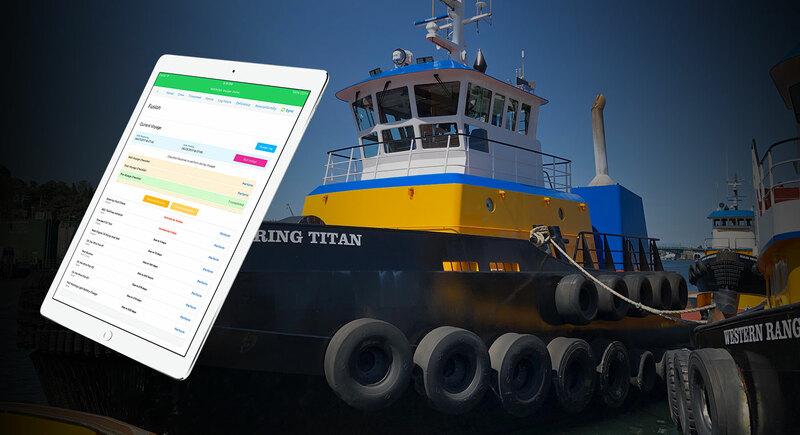 In the new world of Subchapter M for the towboat industry, MobileOps is a great alternative to hiring 1 or 2 additional employees to manage a paper or spreadsheet based process.